And not being a lawyer, I was quite, quite mystified by the heated exchange of words between the lead counsels of both the prosecution and the defence of the Justice Corona Impeachment Court yesterday over the declaration of Ombudsman Conchita Carpio Morales as a hostile witness. For once, I could not quite keep up with the debate. It was all highly technical and apparently revolved around the rules of evidence. It did not help that former Justice Cuevas was having what seemed to me a bad hair day. Cuevas, according to some, achieved something of a ‘rock star’ status during the prosecution’s presentation of their case. Yesterday, Cuevas did not seem sharp at all; and seemed very much like an old man on the verge of dementia. This was quite the opposite of the quick-witted octogenarian that made the prosecution lawyers seem like amateurs prior to the court recess in April. I wondered if Cuevas was unnerved by the Ombudsman’s condescending demeanour towards him. Indeed, on more than a few occasions, the Ombudsman whined that they were all starting to sound like broken records. It was an intriguing battle of reputations; and on the basis of yesterday’s performance, the Ombudsman seemed to have taken the upper hand over Cuevas. The irony of all this, of course, is that it was the defence – i.e. the side Cuevas was representing – that was presenting the Ombudsman as witness. This brings us back to the subject of the hostile witness. Thank goodness one of the news channel’s lawyer pundits, during a break in the proceedings, took great pains to explain what a hostile witness is. A witness, the pundit explained, may be declared under the rules of evidence as hostile if he holds interests contrary that of the party presenting him. It may also be that the witness has indicated a reluctance to testify or if he has deceived the presenting party into calling him to the stand to testify. Not as though I finally understood the intricacies of a court of law in relation to the so-called hostile witness, at least I grasped some of the logic in trying to get the Ombudsman declared as such. If I follow the defence’s line of thinking correctly, since the Ombudsman is from the administration that initiated the impeachment proceedings against Corona, then her interests are presumed adverse to the accused. As to the benefit to the defence of the Ombudsman being declared hostile, the pundit referred again to the rules of evidence. According to the pundit, a hostile witness may be asked ‘leading’ questions as though he is already being cross-examined, something which the counsel presenting the witness cannot do in direct examination if the witness on the stand is an ordinary one. A leading question, the pundit further explained, is one a suggestive one with which the counsel verbalizes a scenario and leaves the witness with no option except to reply with a ‘yes’ or ‘no.’ This, if I understood the pundit, a counsel cannot do with an ordinary witness. From what I little I could make of Cuevas’ rather lame questioning of the Ombudsman yesterday, it appears that calling the latter to the witness stand was intended to show that the impeachment of the Chief Justice is no more than a plot cooked up by the current administration to persecute Corona. 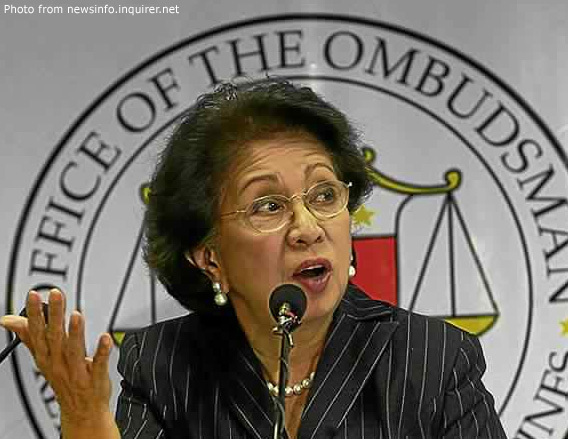 Of course, before the end of the day, the Ombudsman had revealed purported millions of dollars owned by the Chief Justice to the court. Had the defence panel taken too big a risk in asking the Ombudsman to be subpoenaed? Was it a glaring miscalculation? Or had they anticipated the Ombudsman’s revelations and forced her to reveal her hand in preparation for the Chief Justice taking the witness stand? I had not seen Cuevas quite as lame as he was yesterday. 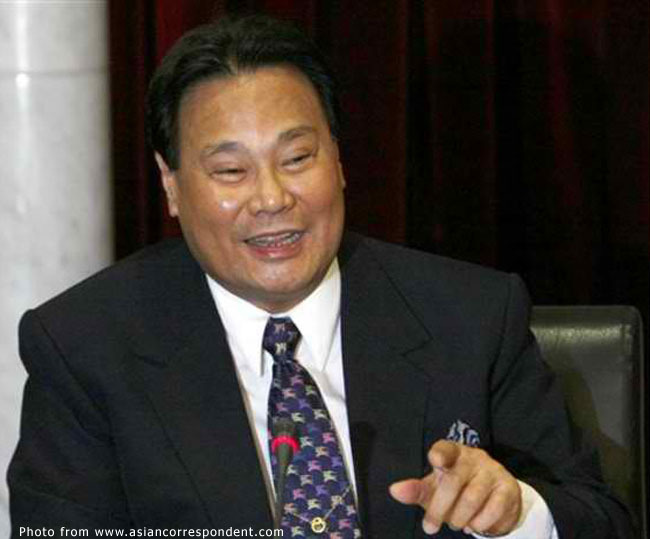 Are age and the stresses of the impeachment court just finally just catching up with him? Or does the wily old warrior have an ace hidden up his sleeve?